This is a could be a case of cutting off my nose to spite my face and killing the golden goose. I have discovered a glitch that you probably should correct. However I will committing financial suicide by revealing it. So I am offering a deal... 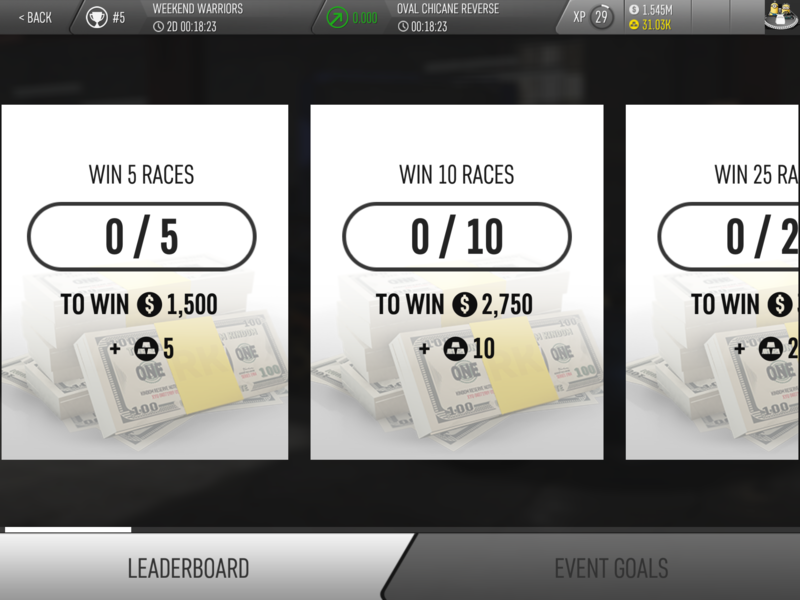 Loosen the betting on the AI racers, make the AI racers in the daily tournaments beatable and I will share. Ask BB if I am capable of discovering and capitalizing from a glitch. Let's get BB in and see if we can exchange hostages somewhere. I know this man, Demorphic. He ain't bluffing. We appreciate the unorthodox bug report Larry. I don't usually negotiate with drift terrorists but may make an exception under the circumstances. We'll work out a plan - we'd been discussing the impact of those changes, and we do get the message that they're not all welcome. We have to balance that against our need to learn how certain things work (the point of the beta), but I do think we can come to an arrangement, and nobody needs to get hurt. YOU call me a terrorist, I view myself as a freedom fighter for the financially oppressed beta testers! Is this the reason I have so much money? I am not at the top of the leaderboard because I win a lot of my races and I race often. I am so sorry if this is true? I mentioned earlier that I was concerned about an anomaly similar to this one. The tournament that occurred before yesterday's tournament was weird. I had only a few races, the highest beta as only $3,200. That should have totaled $48,000. 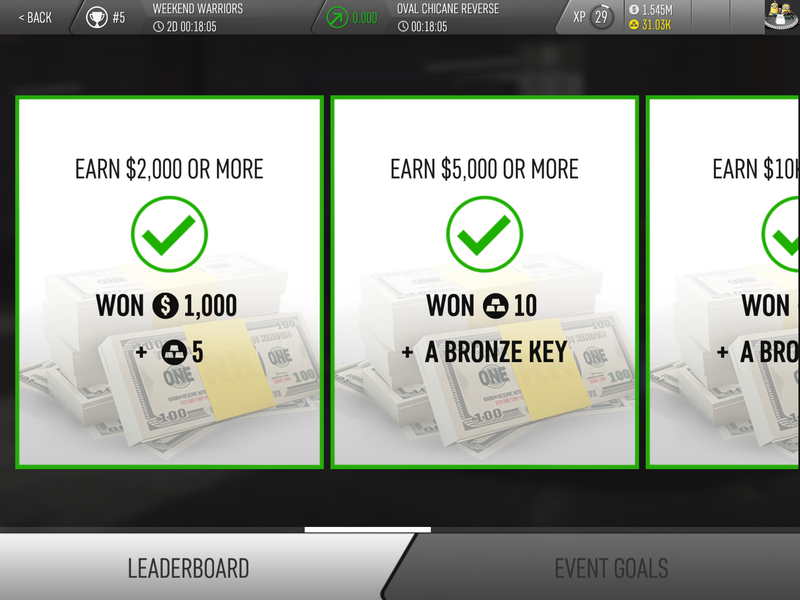 When the tournament was over, I had accumulate several hundred thousand dollars. 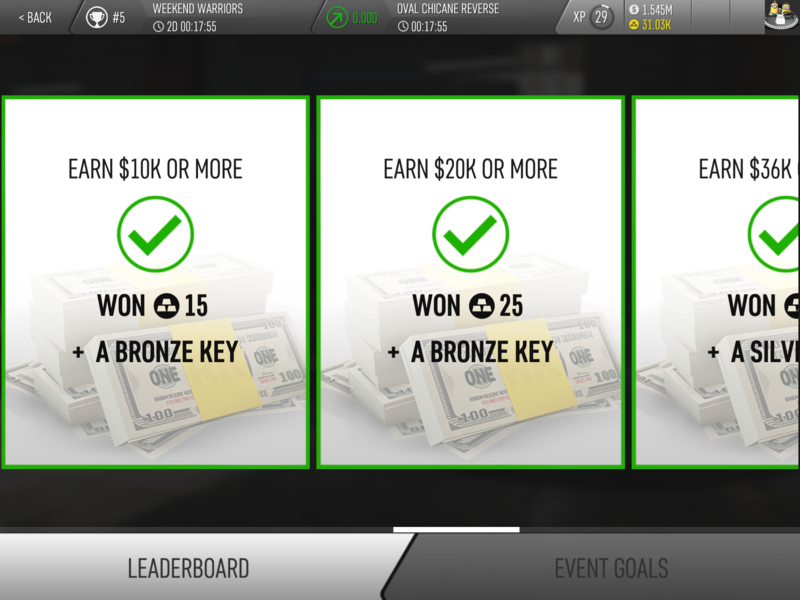 I didn't know if there were some other rewards that I was not aware of, that were added to my total. But I thought I should say something in discussions. I was hoping that the other Beta tester might have had the same experience or perhaps knew what was going on. I also hoped that one of the Hutch team would comment and explain this occursnce. But no one said anything. I have been checking every discussion every 1-2 hours that I made foments in these last few days; no acknowledge my thoughts, comments or questions, except El Mutro and one comment by Stormy, which had no connection to these occursnces. It is more than disconcerting, when I voice confusion, concern or ask a question and no one replies. Is this the reason I am at the top of the leader board? 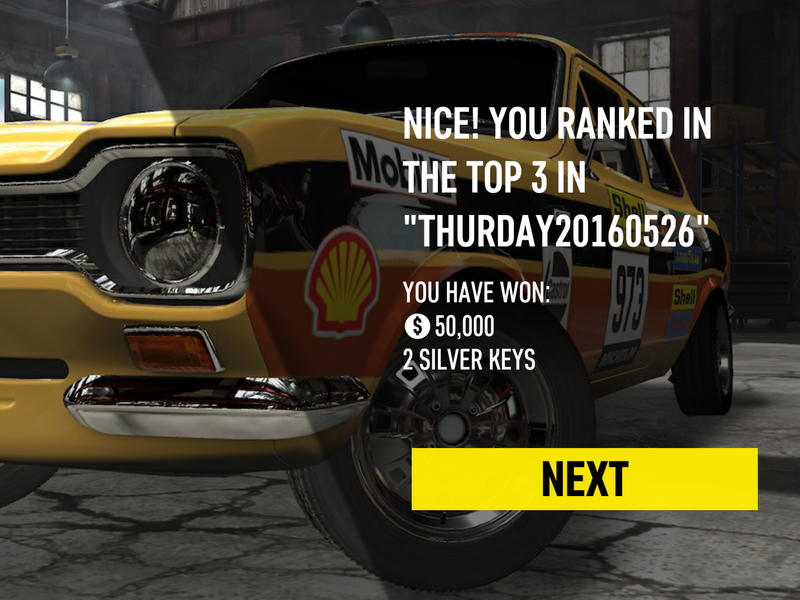 Notice the achievements earned and the leaderboard position without winning a single race! That is exactly what happens to me. Sometimes when I am analyzing the different cars, I loose a string of races, Ecuador my rivals cars can run circles around mine. Sometimes my grandkids distract me and I loose. The money continues to accrue. I seem to be making a lot of spelling errors. Ecuador should read, because. Hi Larry and Hummingbird, these indeed seem to be bugs in prize rewarding. The prizing and event system is pretty complex and sometimes this kind of thing can slip through. 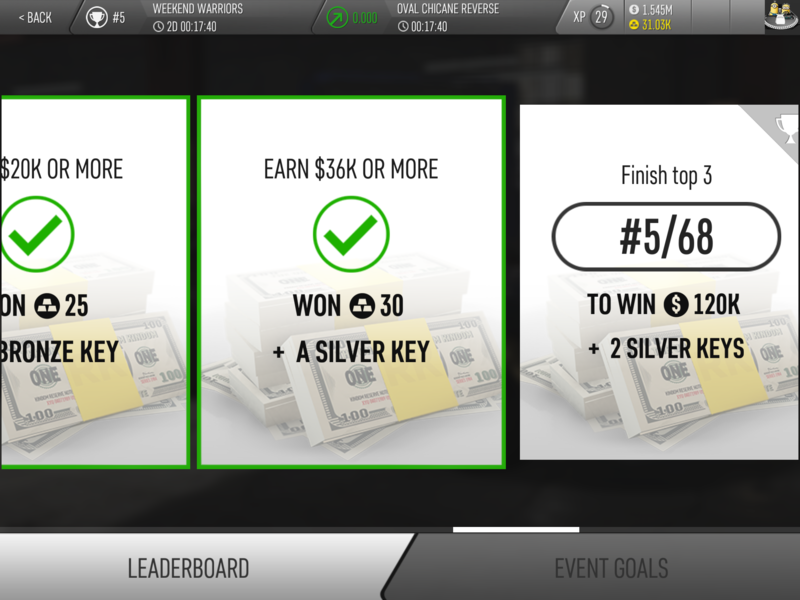 The achievement rewards can also sometimes be confusing, leaving you wondering where the cash is coming from. Thanks for picking up on these and discussing them openly.